On March 16, 2019, for the occasion of the Feast of Mor Aphrem and Mor Theodoros, His Holiness Patriarch Mor Ignatius Aphrem II celebrated the Holy Qurobo at Mor Aphrem Church in Mor Aphrem Monastery in Maarat Saydnaya. 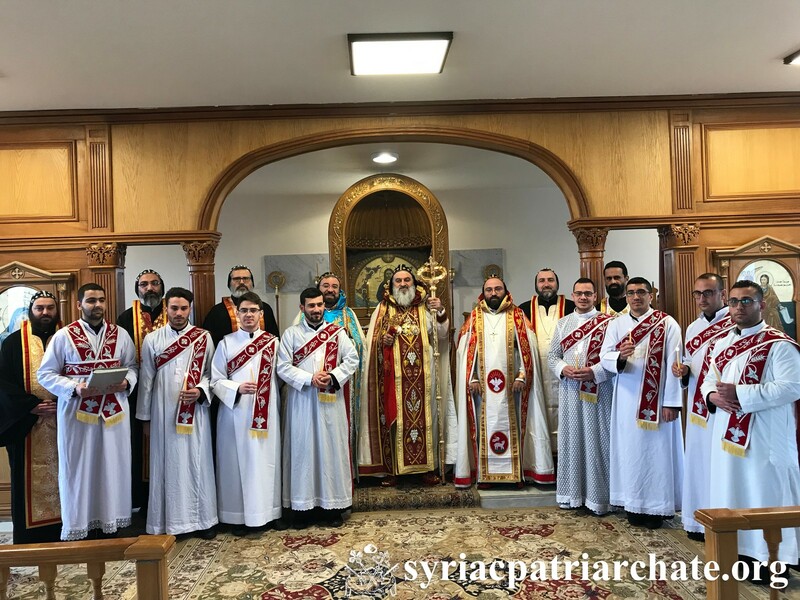 Their Eminences Mor Timotheos Matta Al-Khoury, Patriarchal Vicar in the Patriarchal Archdiocese of Damascus, and Mor Anthimos Jack Yakoub, Patriarchal Vicar for Youth Affairs and Religious Education, assisted His Holiness in the Holy Qurobo. 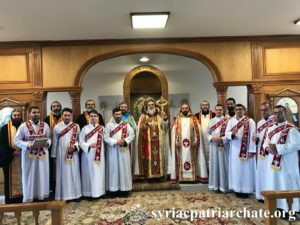 During the Qurobo, His Holiness ordained 7 subdeacons (Rami Malaab, Khalil Abdelnour, Gabriel Asmar, Basem Dalloul, Hanna Youssef, Vinicius Torres, and Matheus Luz) and a reader (Nasr Qoba). At the end of the Qurobo, His Holiness congratulated the new ordained subdeacons and reader wishing them blessed devotional life for the Glory of God and the growth of His Holy Church.